Oh i Love that chair and the couch!!!! Looks so homey! oh, it’s darling! i love all the little touches! you have done a fantastic job! it looks beautiful and cool. the fact that you did it on a budget, in a place you were not familiar with and you didn’t go to ikea, i am impressed. 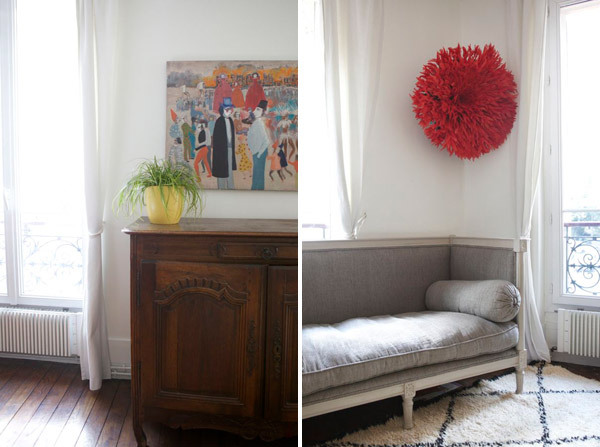 It really looks lovely — are you going to bring the sofas (love them both, esp the blue velvet!) back to the U.S. when you return? It looks really home-y, more importantly it’s starting to feel like home, which is the best. amazing jordan! i love how you still made this place your home even if its a short time. so inspiring! My name is Nuria, and I love your Blog! It would be great if you could help me! 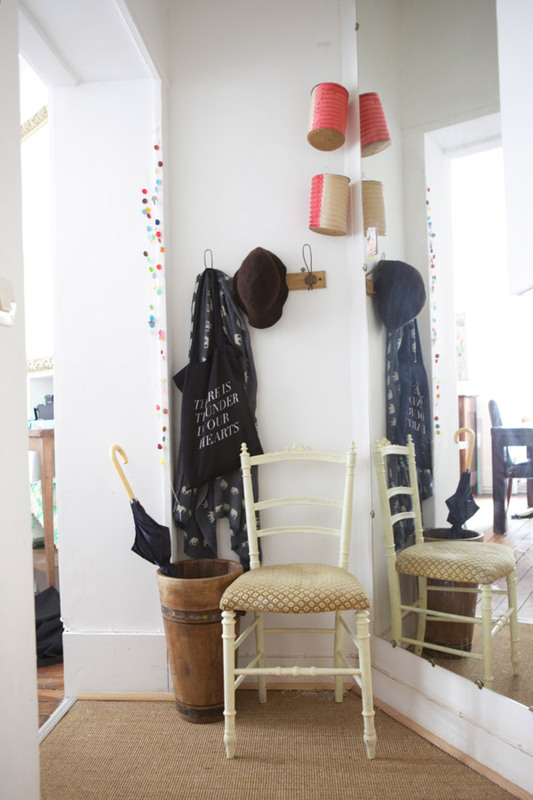 I am looking for a cool place in Paris for celebrating kid´s birthdays..
i just LOVE that umbrella holder. it looks so open and airy. Can’t wait to see it al! Very exciting! I cant totally relate on how long it takes to feel like a home. Then in our case we end up moving! But this time we just renewed our lease so I can REALLY enjoy our home =) Very awesome. I can’t wait to see your tour! it looks so sweet and homey, love the couch and use of color! I have that same field guided tote!!!! We just moved to Bahia Brazil in the beginning of this month. It’s been rough making our house feel like our home but it’s slowly coming together. I felt better after reading your post. I guess these things take time. We also did the Puce St. Ouen and I would agree with you, much better finds at the smaller brocante markets! It looks really cozy and lovely. Happy Fall in your home! Looks beautiful!! It took me a good year to finally feel like our home was cozy but three years in there’s still so much to do!! Finally got it down to one room left. Yikes!! Love the couch! Is there a story behind that? I would love to find something just like it. We will be having a Brocante in our neighborhood this Saturday come by! Blvd Beaumarchais (I think it is on the 11eme side) just before Bastille! It has taken us over 1 year for our apt to finally feel like home! I hated living like that…but we had tons of construction here 3 phases…and now I think we are finally settled (well until next year!). Baby Girl is going to arrive soon so we are in a hurry to get things done around here! Your place looks lovely and is an inspiration to us all! I love the drops of color everywhere…I need to do that! That is a HAT!???? wow. Just leave it there, it’s perfectly. . . .un-perfect. And perfectly red. Can’t wait for the full tour. LOVE it! We were just talking about the juju with Victoria of SF Girl by the Bay last night. They had them at the Jonathan Adler store. I had never heard of it until she pointed it out. It looks amazing on the wall. Such a fun pop of color! beautiful!! enjoy the coziness of your maison. It looks really cozy and lovely…! . I am totaly agree with your post! Thanks!